In October 1999, Dan and his wife had just had their first son, Edward, who was delivered by C-section; it was a very painful and trying time his wife. About a week after she got out of the hospital, he noticed that he was coming down with a cold. Thinking he had the flu, Dan slept for what seemed like two days until around 3 in the morning, when he woke and told his wife that he needed to go to the hospital. Due to the C-section, Dan’s father-in-law drove him to the hospital. He went to a hospital in Waukegan, Illinois, where he was admitted for observation. Dan’s health deteriorated so quickly and suddenly, he remember not being able to speak and his blood oxygen level continued to drop drastically; his physician recognized that he had ARDS and realized that if he did not get to a medical center that could properly handle his medical situation, he would not survive. Dan was air lifted to Loyola Hospital in Maywood, Illinois; by the time he arrived at Loyola, his blood oxygen level had dropped to 2%. The doctors worked tirelessly to save Dan’s life. He was in a drug-induced coma for about a week and a half. When they reduced the sedating medications and he awoke to see his brothers, he was initially confused but then realized how ill he had been. It wasn’t until later that he was told that the doctors were extremely concerned about the reality of potential brain damage because Dan’s blood oxygen level had gotten so drastically low. When it was time for Dan to be moved from Intensive Care to a regular room, his physician told Dan that his hospital stay would probably be another two to three more months and then another three to four months at home recovering. After the doctor left the hospital room, Dan got out of his bed and started to walk to the bathroom. Though he fell to the floor and it took him ten minutes to get twenty feet, he got there. Being a stubborn police office and former US Marine, Dan was determined to be discharged from the hospital as quickly as possible. After another week, he was off the oxygen and had all but one IV removed. Shortly after that, Dan was able to continue his recovery at home. 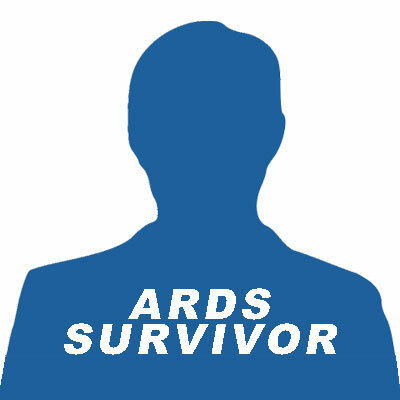 Like all other ARDS survivors, Dan feels that he survived due in large part to Divine intervention. When he was at his lowest, his father would have his entire family surround his bed and pray for Dan. And although it took Dan a couple of months before he was back to full strength, he was able to recover fully. Dan will admit, like many survivors, to getting scared whenever he gets a cold or anything that has to do with his chest. But Dan feels that he is here by the grace of God, that he is living on borrowed time, and now, when he plays with his children, he gives them an extra hour or two of his his time and tries to stop and smell the roses. Life is too short.